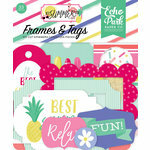 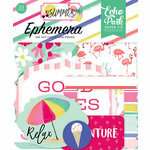 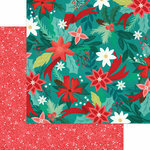 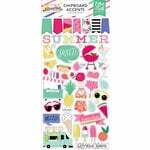 Unwind with a relaxing craft when you use the Summer Swimsuits Decorative Tape from the Best Summer Ever Collection by Echo Park. 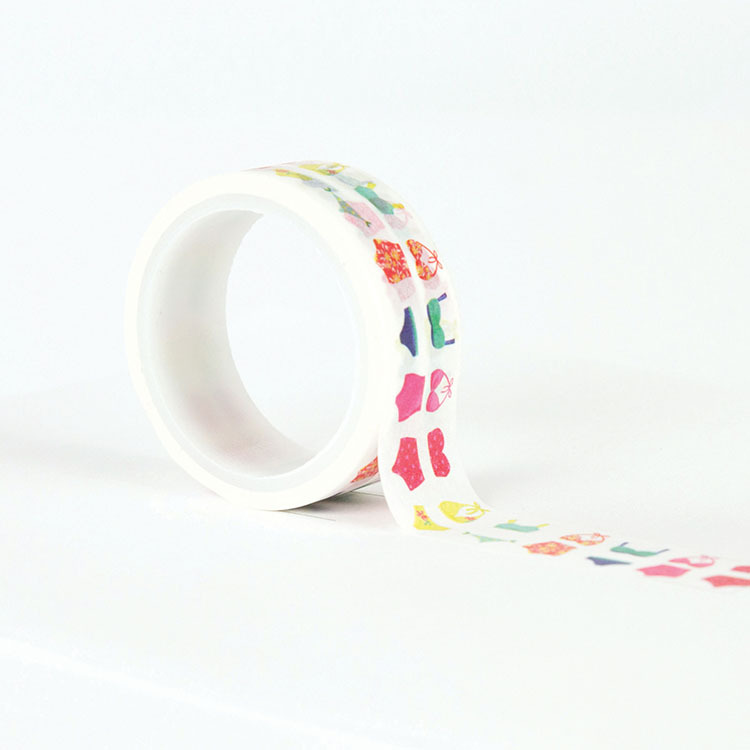 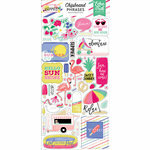 There is one 15 foot roll of washi tape included that has a pattern of bikinis and bathing suits. 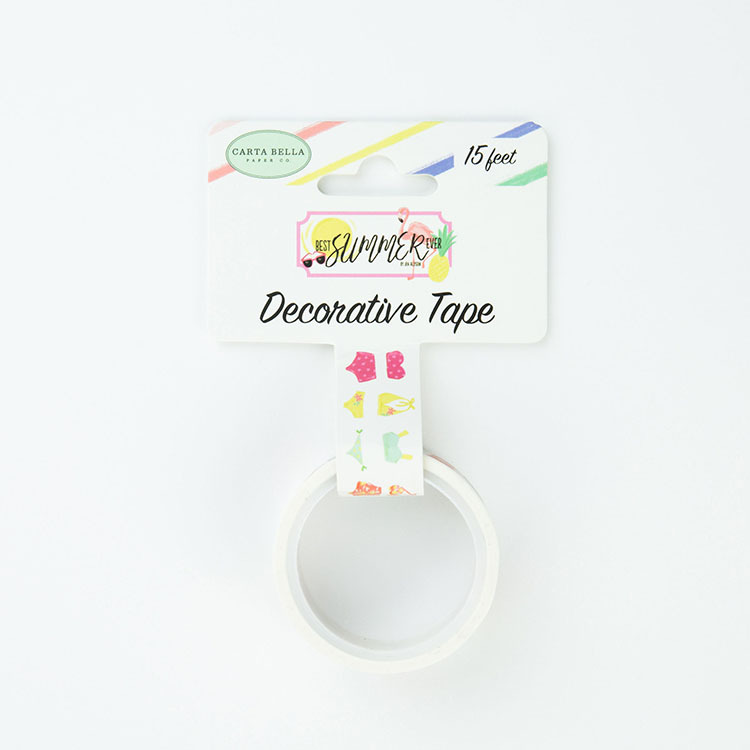 The adhesive is designed by Jen Allyson for Carta Bella Paper.